How? You hire a home inspector, of course. This is true for new-construction homes, historic treasures, or your standard 30-year-old find. But wait — first learn about home inspection tips that could save you money and keep you from making missteps along the way. While interviewing the home inspector and to get your money’s worth, make sure he or she will be inspecting the entire house, top to bottom, inside and out. If the home inspector balks at inspecting the basement, crawl space, attic, garage or anything else, find someone else. If the home inspector tells you these places will be inspected and then balks when actually at your home, call his or her supervisor, or consider ending the home inspection at that point. The home inspector clearly isn’t doing his or her job, nor is he or she giving you what you’re paying for. You wouldn’t know as much about the “guts” of the house unless you are the contractor or you work in the same industry. This is why it is important to be there at the home inspection and most importantly, ask questions when you find the need to. A good inspector will answer all of your questions thoroughly and will explain what he’s doing and looking at all along the way. If there is something that you missed or need clarification on, don’t hesitate to voice out. Don’t let it slide because you’re too scared to ask. Allow between two and three hours for your home inspection. This varies depending on the size and shape of your home. After the home inspection you’ll want your home inspector to sit down and explain to you in detail about the condition of your property. You can then figure out ways to save money on the home repairs or another home inspection. It’s understandable to want to buy a house after you’ve gone to all the trouble of finding it, putting in an offer, and then paying for an inspection. But don’t forget that the inspection is not a mere formality — you actually need to consider the results. If the inspector finds problems that the seller won’t address, depending on the severity of the problems, you might need to pass on the deal. Whether you’re buying or selling a home, you’ll want a qualified Realtor by your side. 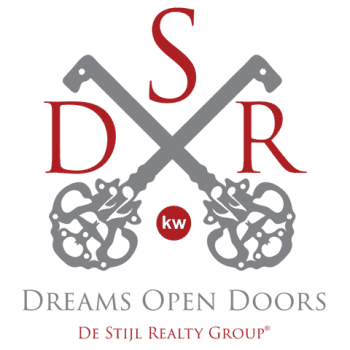 Trust De Stijl Realty and Downers Grove IL real estate agent Paul Froiland for all of your real estate needs.